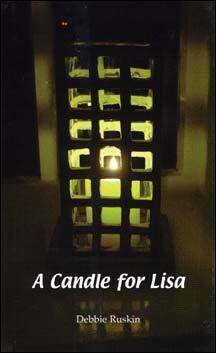 'A Candle for Lisa by Debbie RuskinLisa Ruskin was born prematurely with serious heart defects. Still barely conscious from the general anaesthetic following an emergency Caesarian section, Debbie was badgered into giving her consent for her baby's life support system to be turned off. Later she learned that her child's organs had been retained by the hospital's pathology department. This book is a poignant account of Lisa's life and death, the fight to discover the truth and Debbie's struggle to overcome her grief. Anyone who has experienced the death of a child or been at the receiving end of medical negligence, insensitivity and or lies will find this a sad, but ultimately uplifting book. In it Lisa's flame continues to burn and its author hopes that some good will come out of her tragic death.